Whether you are an outdoors fanatic or if you have resolved to get more exercise in 2013, the First Day Hike at the Blue Hills in Canton MA is a great way to enjoy the outdoors and get some exercise. Located on the border of Milton MA and Canton MA sits one of the state's great natural outdoor resources - the Blue Hills Reservation, managed by the Massachusetts Department of Conservation and Recreation (DCR). 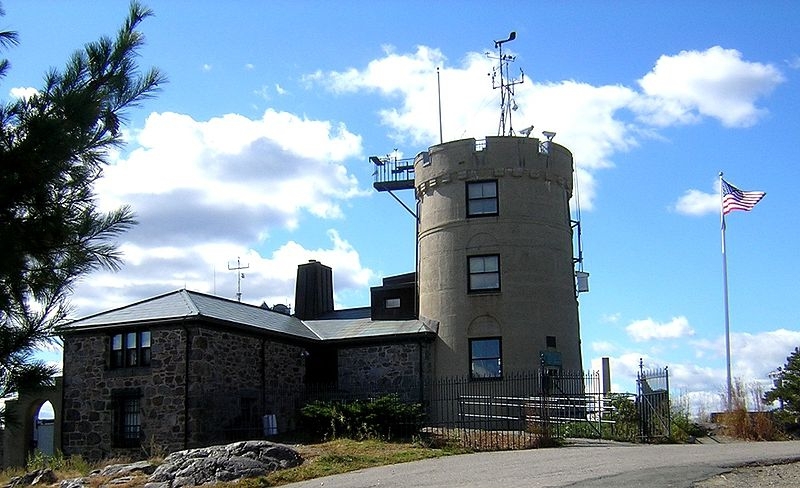 It is home to a ski area, as well as the Mass Audubon's Trailside Museum, miles of hiking trails a weather observatory, a swimming spot and more. What better way to kick off the New Year than to join the DCR Park Rangers and staff from the Trailside Museum than with a hike through the beautiful Blue Hills Reservation. There is no fee to participate in the hikes and no registration is required either. Hikes begin at 1:00 pm and start at the Houghton's Pond main parking lot on Hillside Street. You can arrive at Noon for a free cup of hot soup to start you out on the right foot. Then, choose from either a one-hour or two-hour guided hike. Remember to wear sturdy hiking boots or shoes and dress warmly! Milton MA and Canton MA are coveniently located near various recreational, cultural and social activities and venues. There are a wide variety of single family homes for sale in Milton MA and Canton MA in a variety of price ranges and styles. Contact your Milton and Canton Exclusive Buyer Broker for details! Sounds like the perfect way to ring in 2013 Christine. Not sure I could make it with my knees, but I'd give it the old college try. Best to you for a happy, healthy and prosperous 2013. Not sure I'll make it either Roger....but the hot soup sounds inviting.... Happy New Year! Hi Christine. Thanks for the info on the first day hike at the Blue Hills. I know some folks that will be very interested. Happy New Year to you and your family! Hi Christine, great idea to join the 2013 first day hike at the Blue Hills. To burn off holiday calories. Have fun and Happy New Year. Hi Christine! I just stopped by to wish you and your family a Happy New Year! Carol Ann.....hope they enjoyed the hike. Happy New Year! Thanks Kwee! Happy New Year! Happy New Year Connie! Christine, I'm trying to get on the wagon for food and exercise, and this would have been a great place to start. Thanks Pat! Of course, the Blue Hills - or whatever walking trail is near you - is open 24 hours/day, 365 days a year so it is never too late.